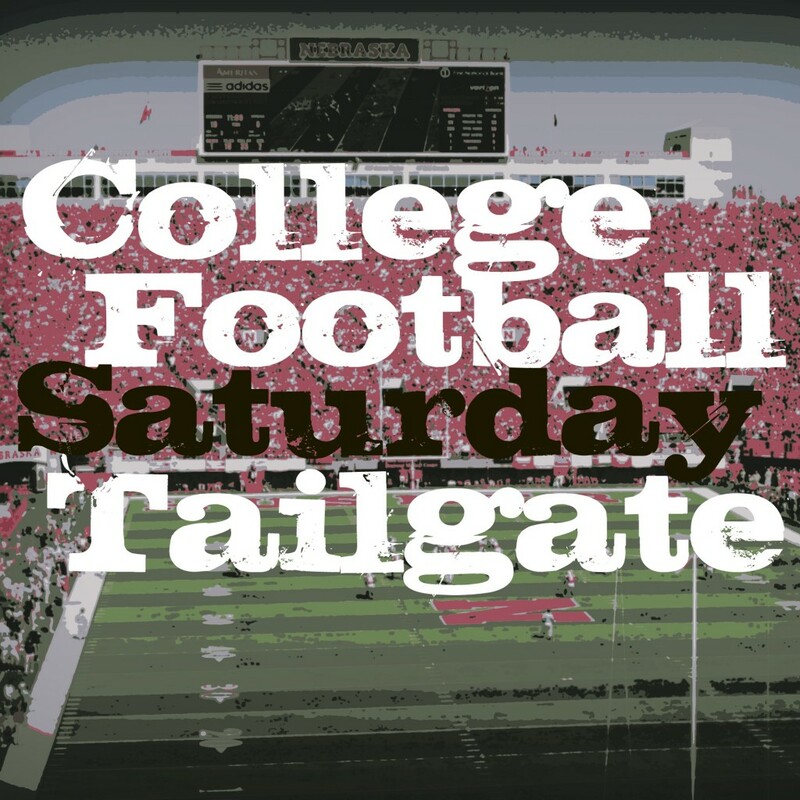 Time for another College Football Saturday Tailgate Party! There are some BIG games in the world of college football today! And, especially big for the BIG TEN and Nebraska! Nebraska’s first game as a member of the Big Ten! Playing at Wisconsin. Both teams ranked in the Top 10. Featured game of ESPN’s College Game Day today. On ABC tonight! HUGE!!!!! 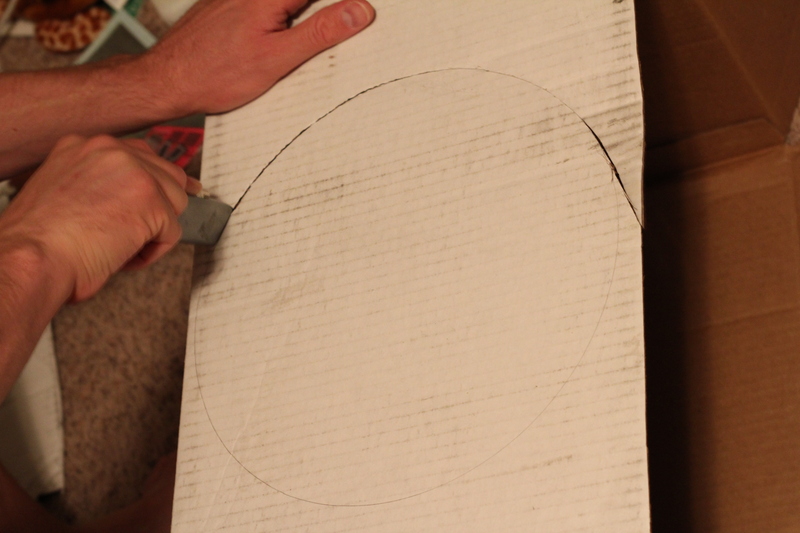 Trace a plate for the inner circle & cut out. Gather up A LOT of ribbon in your team colors and/or fabric scraps! 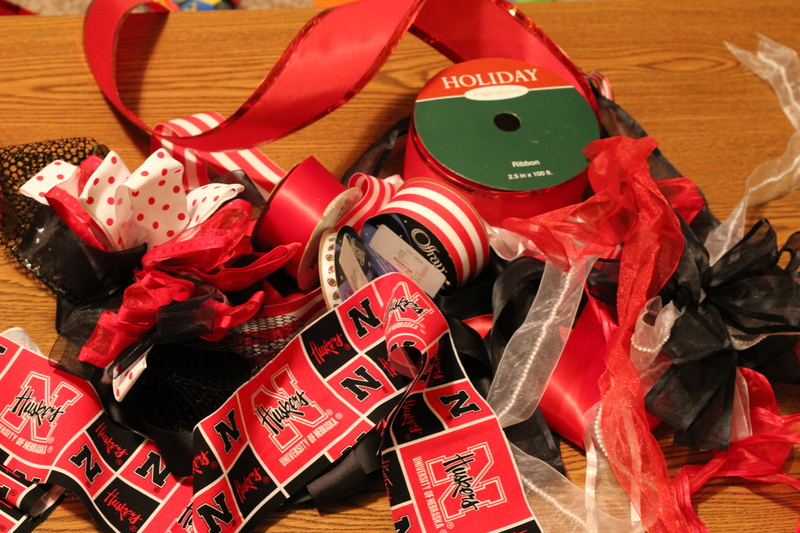 Given our love of Nebraska and our red, black, & white wedding colors, I had a whole bunch of ribbon in those colors. 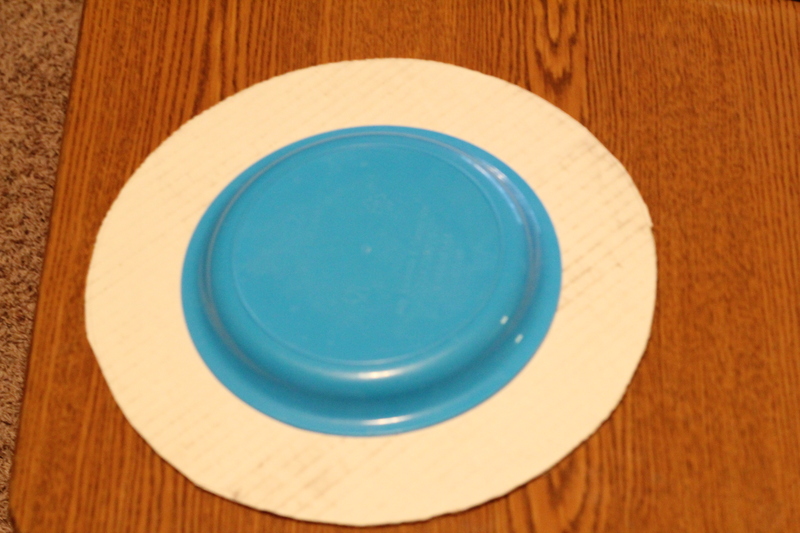 I used about 2 full spools, plus a whole bunch of miscellaneous scraps. Start tying the ribbons around the wreath, alternating the different kinds and pushing the knots close together. Hot glue down in spots as necessary. Continue all the way around the wreath (it took me about an hour and a half). Then, voila, ribbon wreath done! 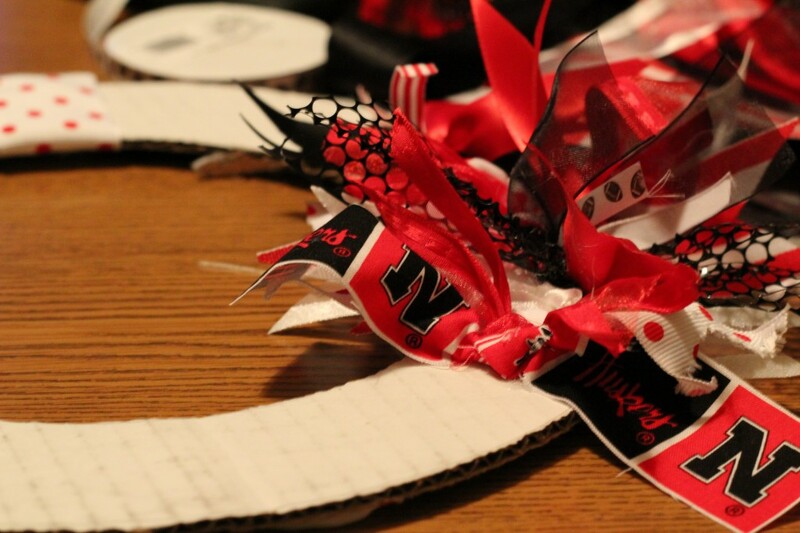 You can also add any embellishments you want–a football, your team’s letter, etc. I couldn’t decide if I wanted anything else on it. What do you think? Does is need a big red “N” or a football or something? So, share your favorite tail­gat­ing recipes, foot­ball fun foods, foot­ball crafts, tail­gat­ing par­ties, fun foot­ball traditions–basically any­thing foot­ball related (espe­cially college)!!! Link as many posts as you like, just please be sure to link back to https://www.momendeavors.com or grab the but­ton (code is on the right side-bar)! Thanks, Gina! 🙂 Who is your team? 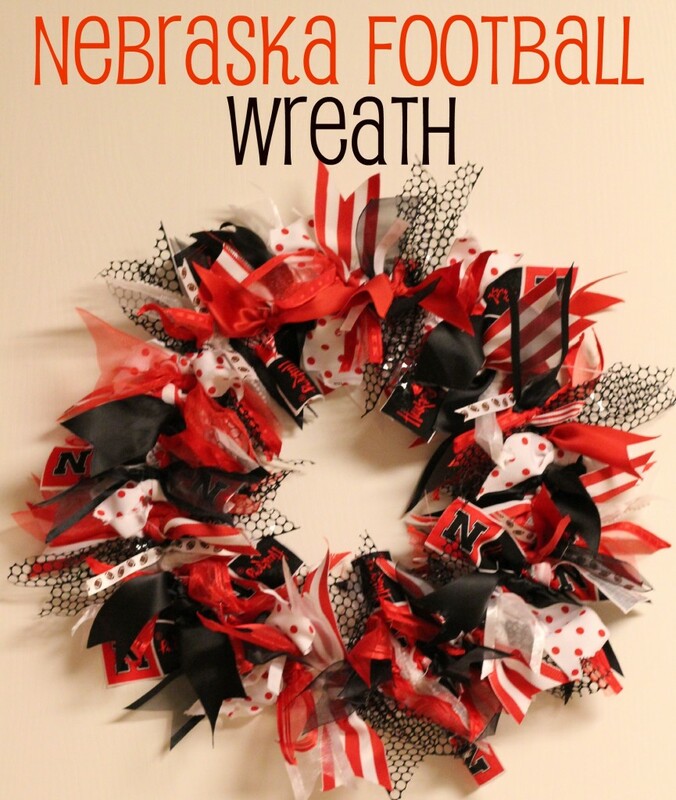 That is a great wreath! What a fun idea. thanks for sharing. Thanks Sara for stopping by my site over the weekend! Your link-up looks like a lot of fun, filled with great recipes & crafts for football season, in other words my kind of blog 🙂 I’d be happy to join y’all and inject some Southern SEC flavor – thank you for the invitation. See you back here later this week! Hi Sara!!! I’m so excited that you found me…and now I’ve found you! 🙂 A Tail-gate Linky Party is such a fun idea! Thanks for hosting…and Go Big Red! Thanks so much for asking me to link up! I’m off to nose around your blog. 🙂 Have a great night! Thanks for the awesome wreath idea! 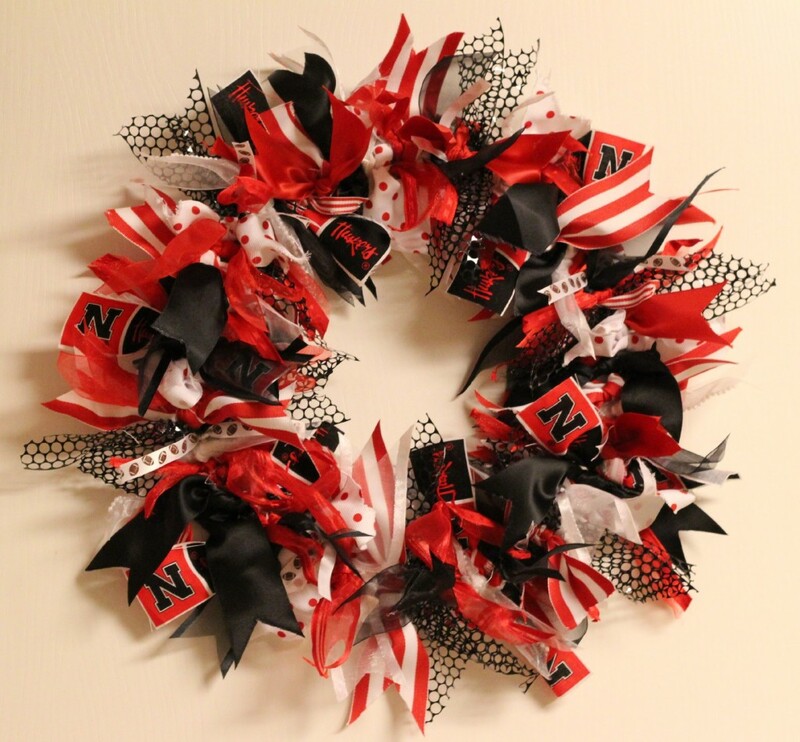 I was searching on Pinterest and found your Husker wreath! I’m going to try and make it in the next couple days, so check out my blog in a few days if you want to see how mine turned out! Also, I’m looking forward to doing your tailgate link up party! !